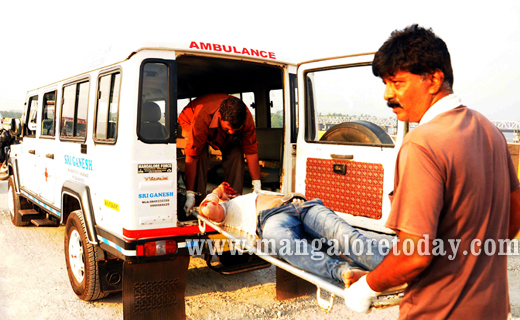 Mangaluru, March 26, 2016 : An accident on the old Netravathi bridge at Ullal late night on March 25, Friday has claimed the life of a young bike rider. The bike is of Sakleshpur registration while the identity of the rider is not yet known. 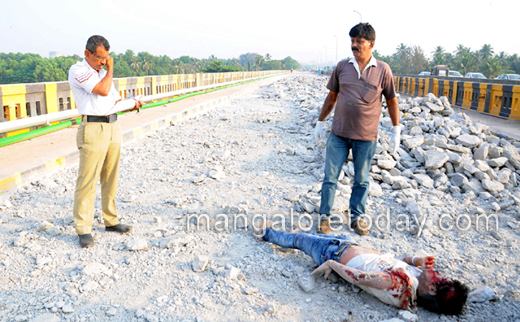 It is learnt, unaware that the old bridge was under repair and that traffic has been diverted, the bike rider had passed through the old bridge where there was sufficient space for a two-wheeler. 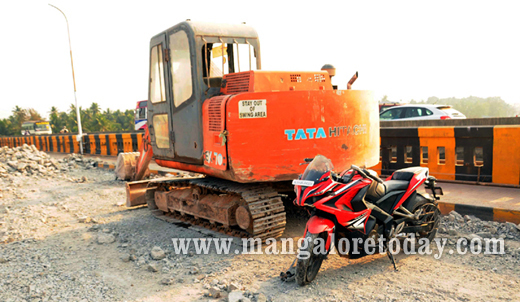 However to his misfortune, his bike is learnt to have rammed against a backhoe which was in operation at the bridge repair site. 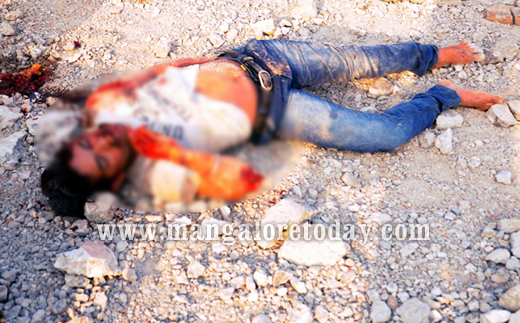 The suspicion is that due to the impact of the collision the rider fell off his bike and lost his life. Police could not find his purse, cell phone or any other thing. 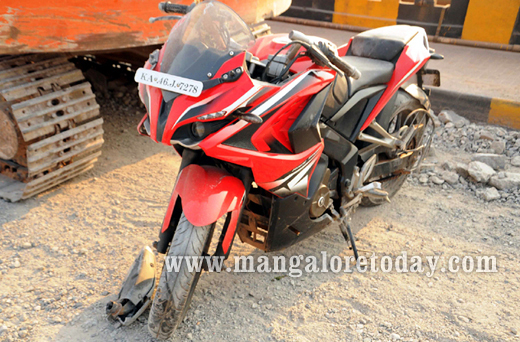 Moreover the bike has also not suffered much damage. Kankanady Rural Police are investigating the case. I am sure all will agree that simple solutions can prevent major accidents. Absence of street lights is the biggest problem. Plants can also be planted in highway dividers to avoid blinding from the headlights of vehicles driving from the opposite direction. Road reflectors can also guide a driver. Request the authorities to look into these simple solutions. Bike is hardly damaged? Looks suspicious ? The police has to investigate the case. Speed thrills but kills . Why did he move on the constructing road ?